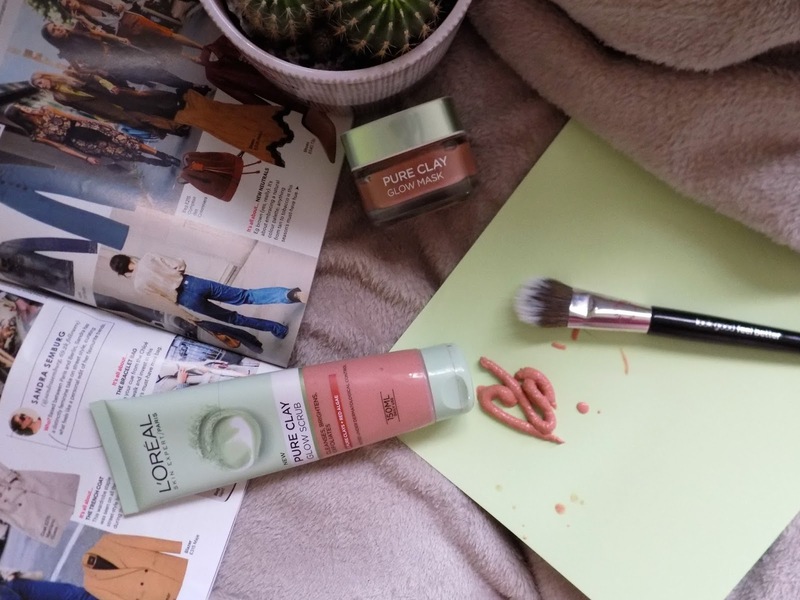 You guys know I love skincare and that I am always on the lookout for new products to put to the test. 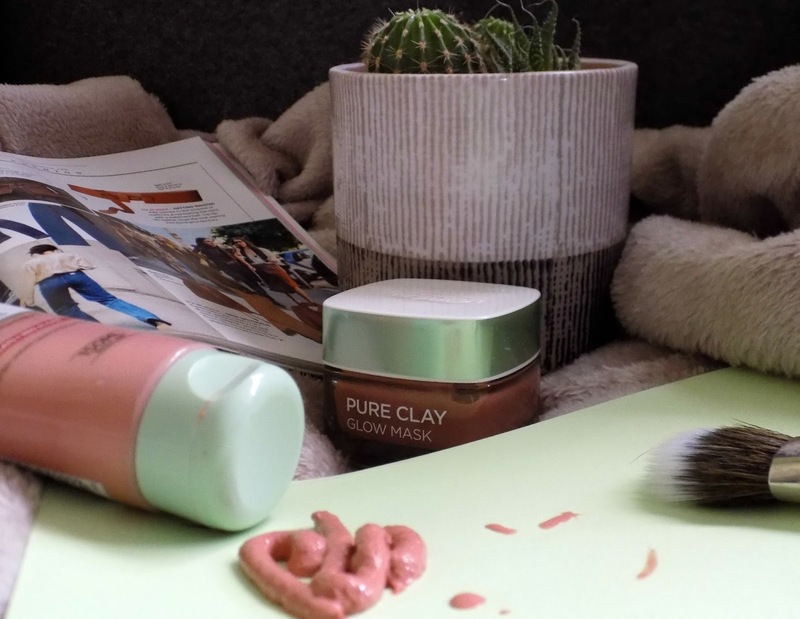 So when on a visit to Superdrug I spotted the new "glow" clay products from L'oreal on offer I took them straight to the check out. I already Know I love L'oreal's clay masks as have tried a couple of them before, but was excited to try the new Glow mask along with the Scrub of the same name. 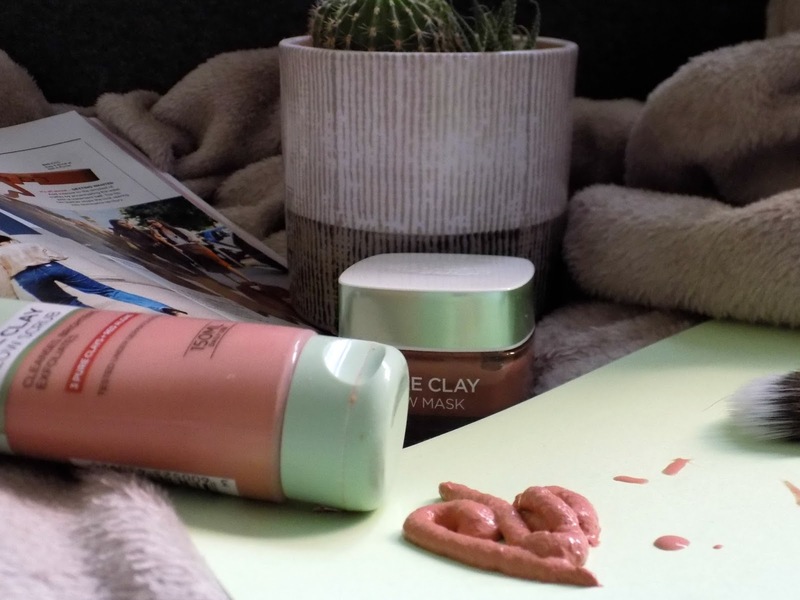 The first thing you will notice is that these products aren't your normal clay products to start with they are red, this is because as well as three types of clay they also contain red algae, which happens to be known for its brightening properties. First up I'm gonna talk about the glow scrub, now I have never used a product like this before, the red coloured foam contains tiny particles that exfoliate, remove impurities and dead skin cells, Just massage into wet skin in small circular movements concentrating on the forehead, nose and chin ( the area's we all know can be a problem) then rinse of to reveal glowing smoother skin. I use this every morning without fail and have done for about four weeks, my skin feels so smooth after using this and my pores are defo looking smaller. I really like this product, it's not at all harsh or stripping just great at cleansing. 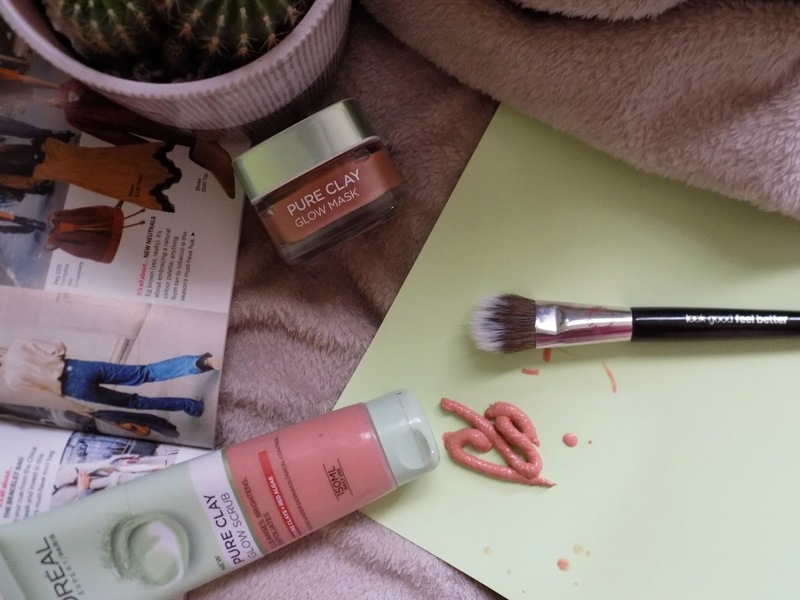 For a deeper cleanse the Glow mask does the trick I use this once or twice a week, to give my skin that extra deep cleanse, I love a clay mask there's nothing like feeling it dry on your skin, knowing it's doing your skin good. I apply it with a flat brush, leave on for 10/15 minutes then wash off using a muslin cloth. My face loves these products my skin just looks and feels better. I picked mine up in Superdrug, but if you have a Savers store near you, I noticed they stock these for only £3.99 each, proper bargain especially for such good quality products. I really want to try the mask. All I keeping hearing about them are good things!